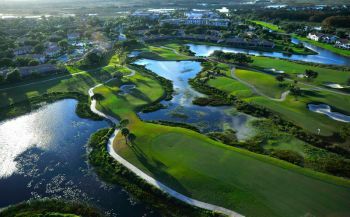 PALM BEACH GARDENS, Fla. – Luke Graboyes of Palm Beach Gardens, FL, making his first start on the Minor League Golf Tour, played a mistake-free final round Friday to win on the Champion course at PGA National. At 136 on rounds of 70-66, Graboyes won by seven strokes. He made four birdies and two bogeys Thursday, then birdied six his first 10 holes Friday and finished with eight straight pars. Graboyes earned $1,350 from the $5,980 purse and an additional $25.72 in skins for a total of $1,375.72. He turned pro three weeks ago, shortly after winning the New Jersey State Open as an amateur. Tied for second at 143 among 21 starters were Justin Hicks of Wellington, FL, Jacob Eggers of Vilas, NC, and Patricio Salem of Lima, Peru. Salem earned $966.67, Hicks $1,773.11 and Eggers $1,661.67. Hicks and Eggers tied for 1st in the bonus pool which earned them an additional $695 apiece in addition to their 2nd place check in the event. A big thank you to PGA National Golf Club. Their maintenance crew worked very hard to get the golf course ready for this event just 3 days after Hurricane Irma came through South Florida. 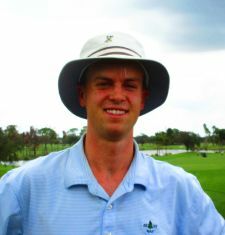 PALM BEACH GARDENS, Fla. - 2016 MLG Tour Champion, Jamie Sindelar, was the only player to break 70 Thursday during the first round of the 2-day event staged on PGA National's famed Champion Course. He overcame a double bogey on #15 and a bogey on #9 with six birdies. Luke Graboyes from Palm Beach Gardens, FL, playing in his first Minor League Golf Tour event, enters the final day just one shot behind Sindelar after an opening round of 2-under par 70. There were 7 skins out on Day 1. Click on any of the $ links under the skin column to view the skins results.